Sri Swami Kailashananda, also known as Yogi Gupta, entered Mahasamadhi (final conscious exit from the body at the time of physical death) on May 6, 2011 in India. He was the Guru of Sri Dharma Mittra and his wife, Ismrittee Devi, as well as countless others. 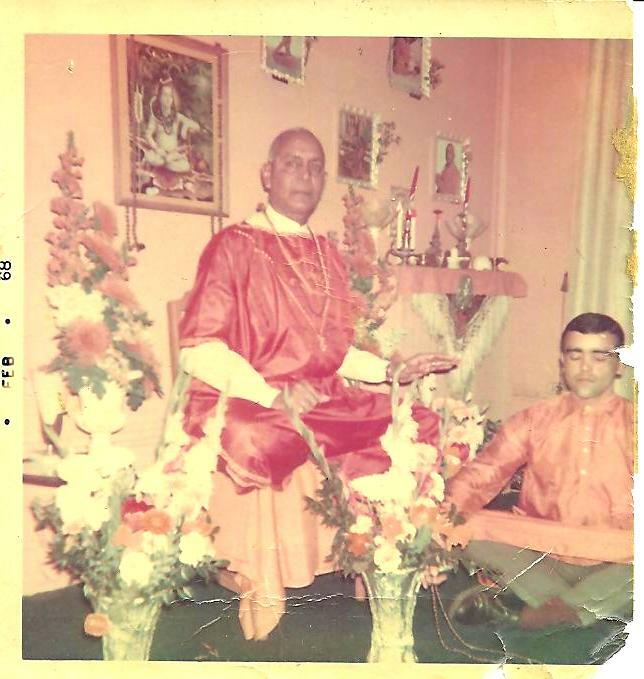 In 1954, Yogi Gupta was invited to speak at a health convention in Chicago, and then began teaching in America. He later established the first Hatha Yoga institution in the U.S. in New York City. He also established the Kailashananda Mission and Nature Cure Center in Rishikesh, India in 1952. It has been in continuous operation ever since. Yogi Gupta was a gifted Ayurvedic physician and did consultations right up until the very end of his life. Sri Swami Kailashananda was born in Kanpur in Northern India in 1913 and was a contemporary and friend of Mahatma Gandhi. He practiced law before renouncing worldly life and being ordained as a monk in the holy city of Varanasi. He practiced yoga and austerities in the solitude of the Himalayas for many years, mastering the nine forms of yoga: Raja, Kundalini, Bhakti, Mantra, Tantra, Yantra, Jnana, Karma and Hatha. He served as a doctor at the Forest Health Clinic at the Sivananda Ashram in Rishikesh before establishing his own Ashrams. Over the years, he made countless trips back-and-forth between his Ashrams in India and America to serve his students. He was an advocate of a live-food diet long before it became fashionable. In 1969, a lecture he gave in New York was recorded on Yogic Food Concepts. He also recorded a Kirtan album and authored two books: Yoga and Long Life and Yoga and Yogic Powers. 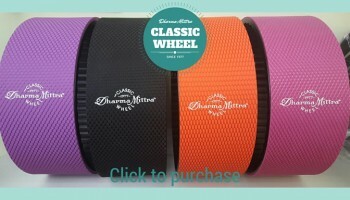 Yogi Gupta often said that Sri Dharma Mittra was doing his work for him in America. 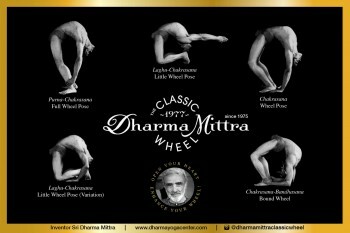 Sri Dharma Mittra completed his world famous “Master Yoga Chart of 908 Yoga Postures” in 1984. He dedicated it to his beloved Guru. 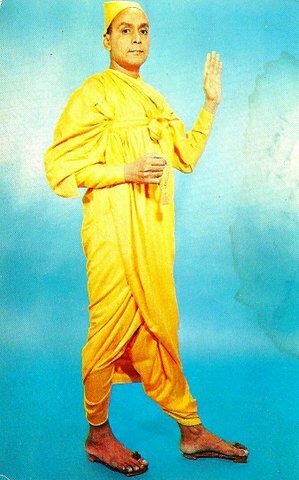 “Our Guru-ji had no need for name or fame; his only need was to serve his disciples,” says Ismrittee Devi, a disciple of Swami Kailashananda since 1987. “This he did till the last moments. He was a slender and tall Guru, setting an example in yoga of cleanliness, impeccable and simple grooming, perfectly ironed robes, and, finally, stones and gems of Divine radiance around his neck. As you walked into his small room, you were always overwhelmed by his grace and power — still and upright perched on a simple desk chair. It is with great love and devotion that Guru-ji Maharaj will be in our thoughts and prayers each day.